JazzTimes is honored to share “Xavi,” the first song to be released from the new Snarky Puppy album Immigrance, which will be released Mar. 15 on GroundUP Music. From Feb. 8-10, Snarky Puppy will host the 3rd annual GroundUP Music Festival in Miami Beach, Fla. They will play all three nights, and the lineup will also include David Crosby, Andrew Bird, Tank and the Bangas, Lalah Hathaway, Richard Bona, and more; go here for further details. After that, the group heads to Los Angeles for a Feb. 23 show at Walt Disney Hall Concert Hall with the L.A. Philharmonic. A full world tour will follow, beginning in April. 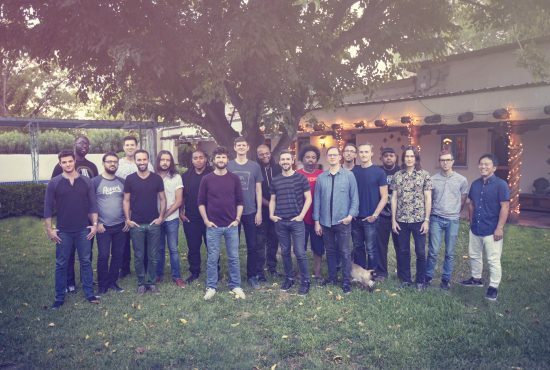 Visit snarkypuppy.com for dates and other information. Read a JazzTimes joint interview with Snarky Puppy’s Michael League and producer/musician Terrace Martin.